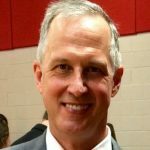 My Capitol Hill listening post has picked up strong signals that Mark Busby, the former program manager for the Department of Justice’s Data Center Transformation Initiative, earlier this month took over as the new chief technology officer at the National Archives and Records Administration. Busby, who spoke at MeriTalk’s Accelerating Data Center Transformation event in October, was instrumental in closing 64 percent of DOJ’s data centers, which now stand at between 30 and 40 nationwide. 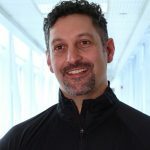 Tenable Network Security announced it has hired former RSA President Amit Yoran to take over as the company’s new chairman and CEO. Yoran, a cybersecurity entrepreneur, sold his first company (Riptech) to Symantec in 2002. He then spent a year as the director of the National Cybersecurity Division at the Department of Homeland Security. He later founded and became CEO of NetWitness before RSA acquired the company in 2011. 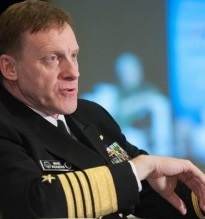 My Fort Meade eavesdropping station has picked up indications and warnings via the Project on Government Oversight that NSA Director Adm. Michael Rogers has recommended the termination of George Ellard as the agency’s inspector general. According to unconfirmed intelligence picked up by POGO, a review board determined that Ellard–who has publicly criticized NSA leaker Edward Snowden for not approaching the IG before leaking data to news outlets–had retaliated against another agency whistleblower. POGO sources state that Ellard remains on the staff at NSA pending an appeal currently before Secretary of Defense Ash Carter. My LinkedIn sensor network reports that ransomware attacks targeting industrial control systems (ICS)–the computers that control critical infrastructure like the electric power grid and major manufacturing processes–may be on the rise. 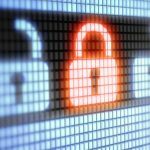 In fact, researchers plan to detail three case studies involving ransomware that targeted ICS servers and work stations at two critical facilities in South America, and a third in the U.S., during next month’s ICS Security Conference in Miami Beach. The Department of Homeland Security responded to 295 incidents in 2015 involving industrial control systems. But one of the big challenges facing officials has been the emergence of foreign companies that specialize in finding zero-day exploits for ICS networks and then selling them to hacker groups and foreign intelligence services.